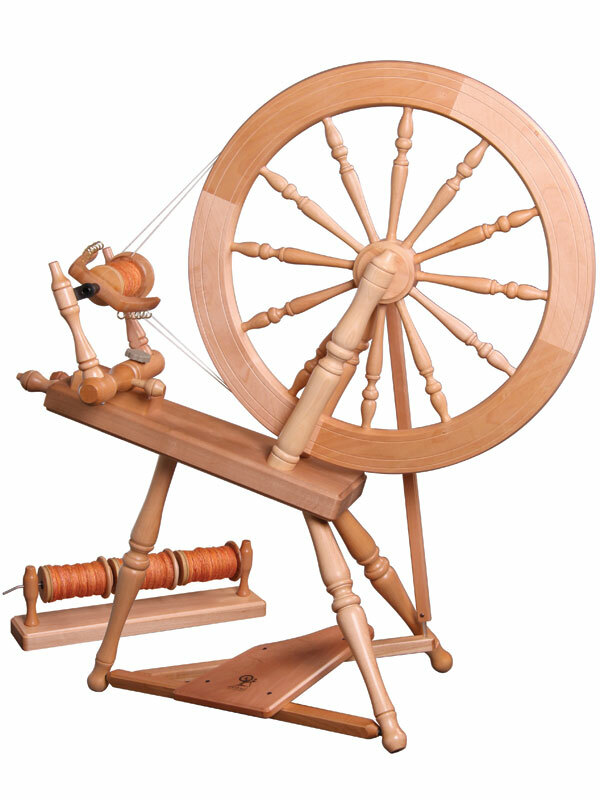 This is my wheel, plus the “lazy kate” to hold the bobbins for plying. Last week and this week I got to expand my repertoire of class sessions into very new territory. 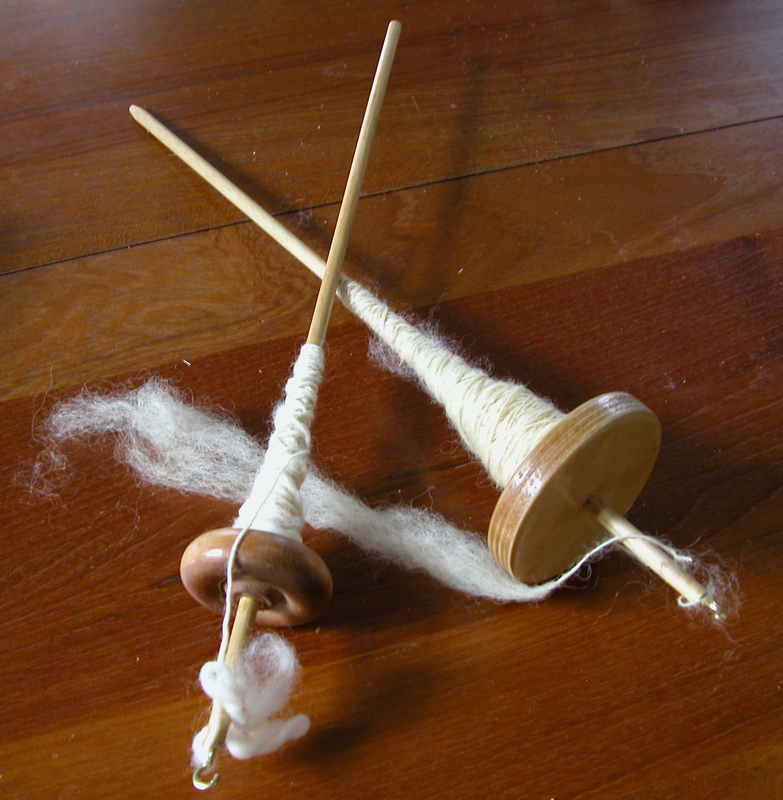 I got invited to a class on early Anglo-Saxon material culture to demonstrate making yarn using a drop spindle and to talk about using that homespun yarn for weaving. And later I got invited to another class studying 18th Century English Workhouses (where the residents did a lot of spinning), to demonstrate making yarn with a treadle spinning wheel and then talk about knitting and weaving with that yarn. I also got to tell them about sitting with an angora rabbit on my lap and spinning directly from his coat. (And also the other rabbit that hated me and would NEVER sit still for such a thing.) Such a different set of things from the things I normally tell students, and they were soooo much more interested in what I had to say. Database searching is never this fun! One student in the Workhouses class is building a game scenario in which the gamer “spins” using the space bar as a treadle and some other keys as the hands working with the wool. He needed to know about treadle technique and timing, and he also timed me spinning so that he knew how many inches of yard I can produce per minute. Next week I’ll rejoin the Anglo-Saxon class to do my demonstrations as part of their end-of-term project: a sort of pre-renaissance fair with demonstrations of all kinds of early Anglo-Saxon material culture. I might even get my very own apprentice. There was a lot to love about being involved in these classes, but one of my favorite things was that these were heavily digital classes, working with 3D modeling and game design, and here I was doing the farthest thing from digital work I can imagine — making yarn from sheep’s wool. The juxtaposition was delicious.